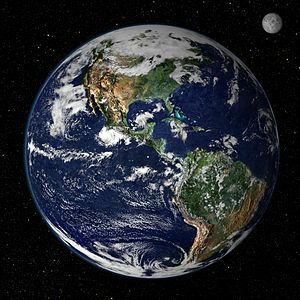 We can see where the emphasis comes in that and what it means: a planned huge expansion of the extraction and use of the fossil fuels (with consequent huge amounts in the coffers of the oil, coal, and gas companies) that are already destroying huge tracts of land, polluting our air, and damaging and poisoning the water table. And of course there is nuclear energy with its deadly radiation lasting thousands of years, a toxin which humans do not have either the infallibility or the life span to keep under control; and, as we saw from the Fukushima disaster, humans can be expected to make mistakes — disastrous mistakes — and the world should be moving away from fossil fuels and nuclear energy as quickly as possible, given what is happening to the worldwide climate. What Romney fails to recognize is that slowing the rise of the oceans and healing the planet are critical to the future of all humanity — to all families — and we see with each passing year the great danger into which global warming due to excessive use of fossil fuels, etc., has thrust us (and certainly we have not heard nearly enough on that topic from the present administration, let alone the necessary practical actions). It threatens not only our food sources due to drastic climate and weather changes, but it also has the potential to alter ocean currents and dry glacier-fed rivers, with disastrous results for massive numbers of humans. In this election campaign so far, I have heard almost nothing of real substance from either side about global warming, the coming water crisis, or increasing pollution of our air, soil, and waters. And of course that pollution is not coming from the U.S. alone. I do not think one can find a river in the western part of the United States that is not polluted with traces of air-borne mercury from the burning of low-grade coal in China. Where is any talk in either party, this election season, of cutting down on driving and use of gas? Where is any talk about increasing the use of bicycles and yes, walking? Where is serious talk about the urgency of taking practical action on climate change before it reaches the point where nothing can be done at all to modify the severity of the coming changes? Quite honestly, I am disgusted with both parties. I grant that the Democrats may at present be the (slightly) lesser of two evils, but on the whole the American people, in modern election campaigns, are astonishingly subject to the most foolish and often dishonest propaganda, and have let politicians get away with sound bites and spin and avoiding dealing with facts and the truth for so long that it has become the nature of American politics. It is a rare TV journalist who will doggedly insist that a politician answer the question asked, rather than allowing him to veer off into prepared, irrelevant verbiage that has as its only purpose the evasion of answering a question directly. The writing of hokku is based on Nature and the place of humans within and as a part of Nature. If there is no concern for Nature — no realistic view of it, no genuine love for it, no seeing it as the fountain and enabler of life, no desire to protect it, then not only will hokku die out completely, but the prospects for continuing human civilization do not look much better. There have been previous great extinctions of life. Given that Americans seem to want to use the last drop of oil rather than changing their lifestyles, the prospect for another mass extinction is looking more and more possible. 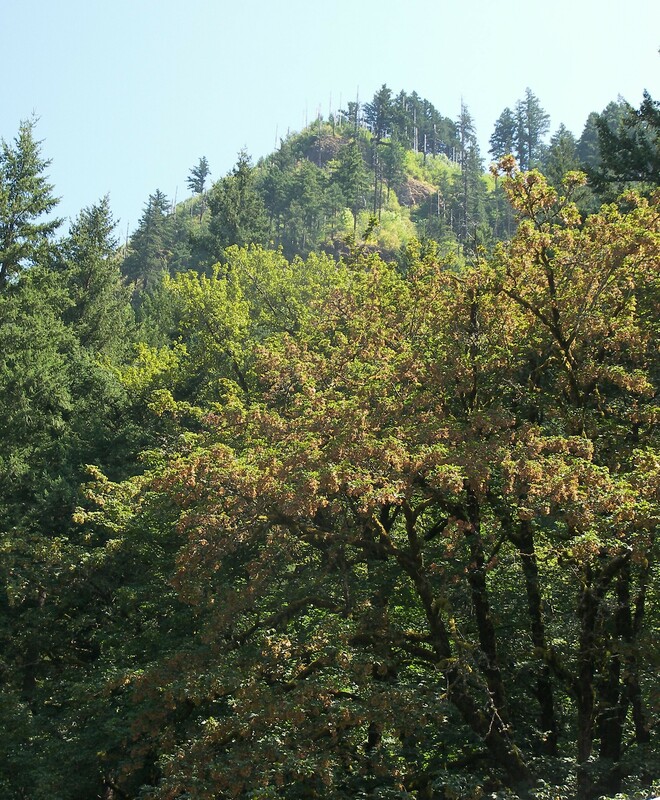 Every year I like to post this article again to mark that time when one feels the change in the air that marks the beginning of summer’s wane into autumn. It is a day when one palpably feels that suddenly the energies of the season have weakened, that the active Yang energy of summer has begun to give way to the growing Yin energies that will take us first into autumn, then winter. It happens at different times in different places. I never know ahead of time on what day in August it will come, but I certainly felt it this morning. The Wheel of the Year has turned; the decline into Fall has begun. If one does not have an understanding of the basic principles of hokku, it is often difficult to appreciate a verse because one simply does not “get” it. This was a major factor in the rise of modern haiku in the west, which began largely as a misunderstanding and misperception of the hokku. I often talk about this or that principle of hokku here, because without an understanding of those principles it is difficult to fully appreciate hokku. One of those principles is internal reflection. Internal reflection means that the quality or character of one thing in a hokku is reflected in the quality or character of another thing. Internal reflection is very common in hokku, and gives it a certain depth. This is a very obvious example of internal reflection, so obvious that some people are likely to “get” it without realizing just why. Put very simply, the magnitude of the present heat is reflected in the hugeness of the ant. The writer (and the understanding reader) perceives the “bigness” of the oppressive heat in the “bigness” of the ant. Well, it can do harm. Blyth obviously knew, even while writing the sentence, that the ant is not really a symbol of the heat, and that his attempt to explain the matter is potentially misleading. And there is a connection that can be explained rationally and simply, and without the potential confusion inherent in Blyth’s attempt. In hokku one thing does not symbolize another. Each thing has its own value and significance, but that value or significance can be enhanced or deepened through internal reflection, which is actually what happens in this verse. 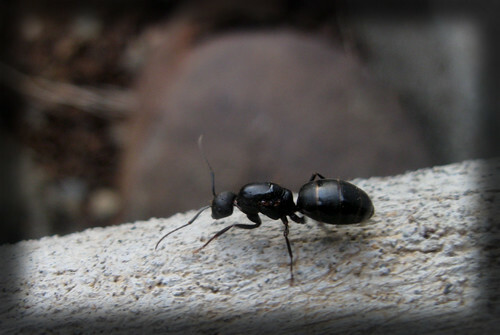 The unusual size of the ant reflects the unusual “size” of the heat. The quality or character of one thing is reflected in the quality or character of another. While Blyth was without question the most perceptive of the writers on hokku, unfortunately he did not present the nature and fundamentals of writing hokku in a simple and systematic fashion, which has led to much of what he had to say being either overlooked or ignored or forgotten today. And of course there is his regrettable anachronistic use of the term “haiku” for what was and is really hokku. Nonetheless, there is still much to be learned from Blyth, though one must work at it, and few are willing to put forth the effort. But we need not go into all of that. What we do need to remember is the principle of internal reflection and how it works in hokku, because it is very often used. And by the way, in the original verse, what I have translated as “floor” is tatami — those woven mats of grass on a wooden framework that together formed the floor in the traditional Japanese home. But for us, in English, “floor” does the job. This summer hokku by Yayū is somewhat unusual, first because it includes a clock. We already know that “modern technology” is not a part of hokku, and if we allow ourselves to become very literalistic about that limitation, instead of understanding its spirit, we might think that Yayū made a mistake in including a clock. But clocks are very old, and belong to a kind of simpler technology that preceded the Industrial Revolution and is still within the realm of things worked and molded and cast, like iron pots and door hinges, in spite of a clock being somewhat more complex. So they are not entirely out of place in hokku, and as we shall see, Yayū included a clock for a specific reason. Most hokku are about things that are present — rain, sunlight, a spider, the wind. But it is an important characteristic of hokku that things NOT present are just as important. Things not present are absent, so we may speak of two kinds of hokku: hokku of presence and hokku of absence. what he is really presenting to us is the absence of sound. 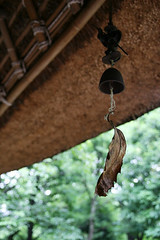 The windbell is not moving, not making its customary, pleasant sound. That means there is no wind. The absence of sound equals the absence of wind here. So what this first line is actually telling us is that it is a hot, completely windless day in summer. That is the “absence” part of the hokku. Now of course rationally we may ask what is hot about a clock? But then we should remember that in hokku, perception is what counts. The world is not viewed as an accumulation of isolated objects and events. Instead, everything relates to everything else. We have already seen that demonstrated in the silence of the windbell, which means not simply silence but also the absence of wind. Now we see another relationship in the ticking of the clock on a summer’s day. That ticking — like the absence of wind — is not mentioned at all, yet just as we know the wind is absent because the windbell is silent, we also know the clock is ticking because of the heat. It really is a remarkable hokku, and if one did not understand how hokku work (and most do not, until someone tells them), it would be very easy to overlook or dismiss such a verse. When a hokku is read, it must be with the premise of the universe as many things all interrelated. So in this verse, the silence of the windbell and the absence of a breeze are one thing; the clock and that heat and the ticking are one thing; and when we have finished the verse, what is absent and what is present together become one experience, each element giving significance to the other.